Aselsan has unveiled a new 120 mm rifled mortar system called the AHS-120 at the IDEF 2017 exhibition in Istanbul. The first example is fitted with a 120 mm rifled barrel with an overall length of 1.9 m, which has been supplied by MKEK. This type is already in use by the Turkish Land Forces Command (TLFC), although a 120 mm smoothbore barrel could be fitted if required. The AHS-120 is fitted with an automatic loading system to reduce crew fatigue and increase rate of fire. This arrangement only requires the loader to place a mortar bomb with its propelling charge and fuze system on the loading device to ready the weapon for a fire mission. Maximum range depends on the type of 120 mm mortar bomb being fired and its associated charge system, but Aselsan is quoting a typical maximum range of 8,000 m and a minimum range of 100 m.
The system is fitted with the company's computerised fire-control system (FCS), which includes a map display. This is coupled to the inertial navigation system (INS) and muzzle velocity radar. The system can also receive meteorological data from an external source via a datalink. The FCS employs the standard NATO Armaments Ballistics Kernel (NABK). It can also be integrated with the Aselsan Fire Support Automation System (AFSAS) as well as forward observation observer systems and artillery location radars. Traverse is all electric 3200 mils on the horizontal axis, while elevation is all electric from +800 to + 1,300 mils. The mortar is also equipped with an emergency stop and a manual reversionary mode of operation. The AHS-120 would normally draw power from the vehicle's on board supply but the turntable system is also fitted with its own batteries so it can be deployed in a standalone configuration. The Finnish vehicles manufacturer Sisu Auto recently participated in a live firing drill, in which the company combined its 8x8 hook-lift truck with Patria's Nemo Container, the worldâ€™s first 120 mm mortar system integrated with a container and unveiled during IDEX 2017. The combination of Sisu and Patria know-how provides a flexible and mobile fire support solution. During the live firing exercise, the mortar system successfully provided both direct and indirect fires. Patria's 120 mm mortar container has its own power unit and air conditioning. In addition to an access hatch, the container has an escape hatch. The customer can select NBC (Nuclear, Biological and Chemical) filtration systems, as well as the desired ballistic protection, made either of steel plates or ceramic armour. High-durability steel plating 8 to 10mm thick adds around three tons to the weight of the container. The container has space for one hundred mortar bombs. It has a crew of three: two loaders and a gunner, who also acts as the commander of the unit. The key benefit of the Patria Nemo Container is its easy mobility, which is unique to mortar systems of this caliber. The container can be easily moved into a firing position on a high-speed boat, a ship or on a truck; the container can also fire from any of these carriers and naturally also from the ground. For example, the containerâ€™s versatile mobility enables coastal jaeger platoons to relocate this independent firing unit during a mission. The SISU 8Ã—8 model features an integrated load handling mechanism, which gives the vehicle a low centre of gravity and a low overall height. As a result, the SISU 8Ã—8 can be transported in an aircraft (e.g. Hercules C-130). When loaded with a 1CC container, the total height of the truck using the standard 14.00R20 off road tires does not exceed 4 meters. The Polish 17 Mechanised Brigade's 1 Mechanised Battalion based in Miedzyrzecz received eight self-propelled 120 mm Rak mortar systems and four all-wheel drive (AWD) command post vehicles on 30 June. The brigade is currently equipped with 247 Rosomak-based vehicles. Two AWR 4x4 artillery reconnaissance vehicles based on the AMZ-Kutno Zubr, three Jelcz-based AWA ammunition supply vehicles, an AWRU mobile workshop, and a WZ 6x6 support vehicle still have to be delivered to fully equip an 80-strong mortar company. The next mortar company to receive Raks, by the end of 2017, will be from 12 Mechanised Brigade in Szczecin. Poland has ordered equipment for eight mortar companies, including 64 Rak mortars and 32 AWDs, both based on the Rosomak 8x8 chassis, under a PLN970 million (USD262 million) contract with Huta Stalowa Wola in April 2016. The Rosomak chassis were ordered under a separate contract in 2013. L3 Technologies will supply the US Army with M783 Point Detonating/Delay mortar fuzes and M734A1 Multi-Option Fuze for Mortars under a $89.2 million contract announced on 29 June. If fully exercised, the value of the multi-year contract could reach more than $230 million. The US Army uses the M783 and M734A1 fuzes for mortars for close range and indirect fire support in combat operations. The latest member of Patriaâ€™s Game Changers of the Battlefield â€“ Patria Nemo Container â€“ showcased for the first time at the IDEX 2017, has completed successfully its first test firings on truck platform, the Finnish company said on Sept. 1st. 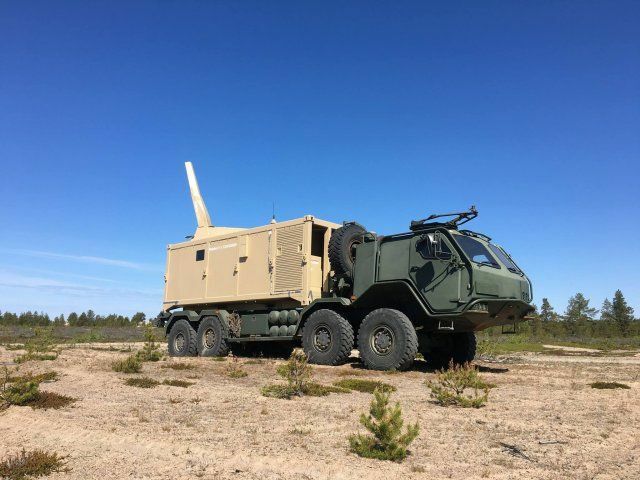 Patria Nemo Container was undergoing vigorous test firings both on Sisu ETP E13 8x8 off-road truck as well as stand-alone on ground during Patriaâ€™s tests in Finland. These tests were mainly concentrated around testing the integration of the Nemo mortar system into a sea container - in other words testing the interface of the turreted mortar system and the 20â€� sea container. Also, another important part was testing the interface of the Patria Nemo Container and Sisu ETP E13 8x8 off-road truck. Patria Nemo Container was performing as expected and the ground breaking concept of the 20â€� sea container with 120 mm turreted mortar system was proving its ingenuity by combining unforeseen flexibility/mobility & firepower. It is able to operate as a stand-alone firing unit, both with direct as well as with indirect fire, thus being ideal for camp protection. More importantly Nemo Container proved it is mobile and agile as its â€œbrothersâ€� integrated directly onto land (Patria Nemo) or naval platforms (Patria Nemo Navy). Patria Nemo Container was functioning perfectly while being on container truck â€“ this time on armoured Sisu ETP13 8x8. Rapid response, accuracy, shoot & scoot, firepower, protection, mobility - all the characteristics of Patriaâ€™s â€œGame Changers of the Battlefieldâ€� were accomplished. Patria Nemo Container opens up - a whole new market segment for Patriaâ€™s Game Changers of the Battlefield â€“ the advantages of modern turreted mortar systems combined with unlimited variety of platforms â€“ both on land & sea. MSPO 2017 saw a new version of a multirole workhorse of the Polish Army, the wheeled ROSOMAK (WOLVERINE) vehicle, equipped with a HITFACT 120mm gun provided by Leonardo. 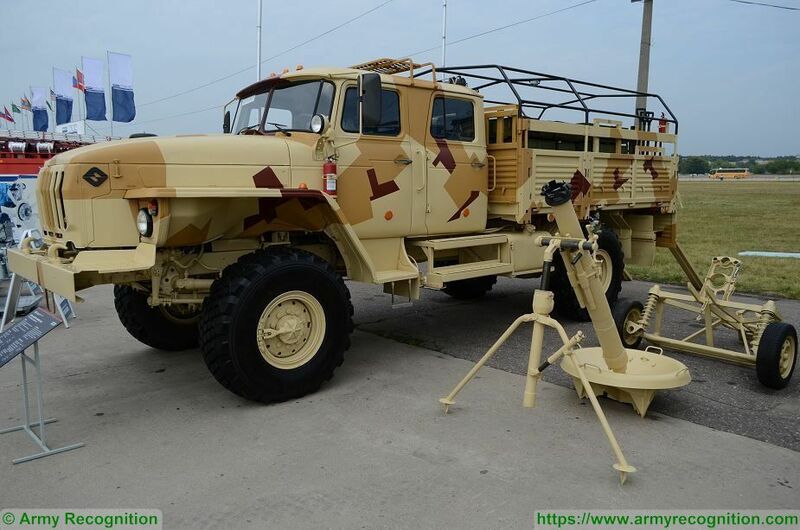 According to the producer, it is a, â€œself-propelled mortar designed for indirect, semi-direct and direct fire.â€� The vehicle is integrated with the C4I system, based on Polish TOPAZ and is equipped with a TALIN 5000 INS + GPS + odometer. The declared rate of fire is 6-8 rounds per minute. To install a 120mm gun, the length of a vehicle must be increased by roughly 40cm compared to a standard ROSOMAK. No further details are available because it is just a conceptual proposal provided by the producer of the ROSOMAK vehicles â€“Â Rosomak SA company from Siemianowice ÅšlÄ…skie. Currently this variant is not planned to enter service. It is important to note that during MSPO 2015 the Rosomak SA company presented the ROSOMAK vehicle with the XC-8 120 HP turret and a 120mm smoothbore gun provided by Cockerill (variant codenamed WILK â€“ WOLF). 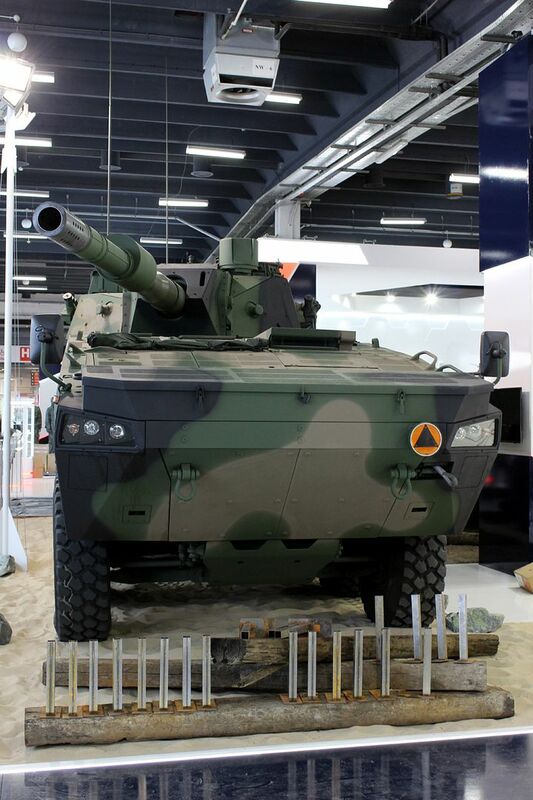 During MSPO 2015, the ROSOMAK with the CMI CT-CV 105mm gun was presented. Its role is to provide basic technical assistance to damaged vehicles. 34 such vehicles have already been ordered by the Polish Armed Forces. ROSOMAK-WRT is the first vehicle of the Polish Army which is armed with the remotely-controlled weapon station, known as ZSMU-1276A (with 7.62 mm UKM-2000C machine-gun) provided by ZM TarnÃ³w. The first WRTs were delivered to the 17th Mechanized Brigade in December 2017. The first WEMs were handed over in December 2007. In total 31 WEMs were ordered by Poland. 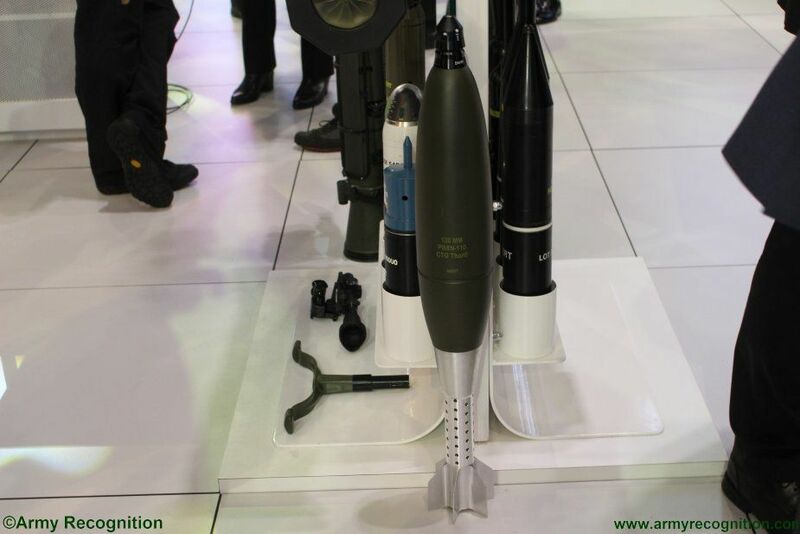 Saab Bofors Dynamics Switzerland (SBDS), a subsidiary of Saab,Â has launched a new 120mm mortar ammunition at DSEI this year. Known as 'Thor', the mortar features preformed fragmentation technology and has already received interest from potential customers. According to Christopher Leitner, head of marketing and sales at Saab, SBDS is expecting to announce its first customer for Thor at the end of the year, with the ammunition currently in small-scale production. The demand has been driven by an apparent lack of heavy fire support in European battalions, he said, adding that there is a growing trend for mortar systems that are highly mobile, built into 8x8 or 6x6 vehicles. A further trend in mortar technology is the proliferation and popularity of mobile launchers, with the emphasis falling on a requirement for increased mobility. The technology allows for improved predictability of the fragmentation fire, enabling the ammunition to be used at short ranges and to reduce instances of unintended collateral damage to civilian populations. Multidimensional fragmentation means that the shapes, materials and the size of the fragments can all be specified during production enabling the creation of mission and target specific mortars. Thor has been test fired from various systems within Switzerland and has demonstrated the ability to penetrate soft, semi-hard and hard targets through the optimisation of fragment spray which has boosted performance by 50%. Saab has announced that it has signed a framework contract with the Norwegian Defence Material Agency (NDMA) for deliveries of ammunition for the Carl-Gustaf system. The contract enables NDMA to place orders for live and training ammunition rounds for 2017-2022 and will be delivered to the Norwegian Armed Forces who currently operate the M2 and M3 versions of the system. Defence and security company Saab launched its new 120mm mortar ammunition, THOR, at the DSEI 2017 exhibition in London, United Kingdom.Â The all-new THOR is a 120mm mortar round developed with a unique design, combining different shapes, materials and fragmentation sizes to attain the desired effect on the target. The new Thor ammunition is developed by Saab Bofors Dynamics Switzerland (SBDS), a subsidiary to Saab and part of business area Dynamics. At DSEI 2017, the new mortar round will be showcased to the market for the first time. â€œWe are very excited to launch this new product to the market at this yearâ€™s DSEI. Our MAPAMÂ® mortar round revolutionised the way infantry units approached mortar-based combat, and now, with our new THOR 120mm mortar round, we are pushing the boundaries even furtherâ€�, says Stephan Kocher, head of Saab Bofors Dynamics Switzerland. Traditional airburst mortar rounds fitted with a proximity fuze disperse fragments in nearly every direction. This decreases the mortarâ€™s effect in the target as over 50 percent of the fragments are scattered upwards. THOR offers more than twice the effect compared to a conventional 120mm mortar round while, at the same time, it delivers fragment loss reduction of up to 20 percent, making the round a perfect short range alternative to heavy 155mm artillery. THORâ€™s Insensitive Munition (IM) signature provides additional safety for mortar crews. THOR also offers controlled safety zones to protect own troops, as well as to avoid civilian collateral damage. â€œTHORâ€™s fragmentation provides predictable safe zones which makes your effects more foreseeable and accurate. 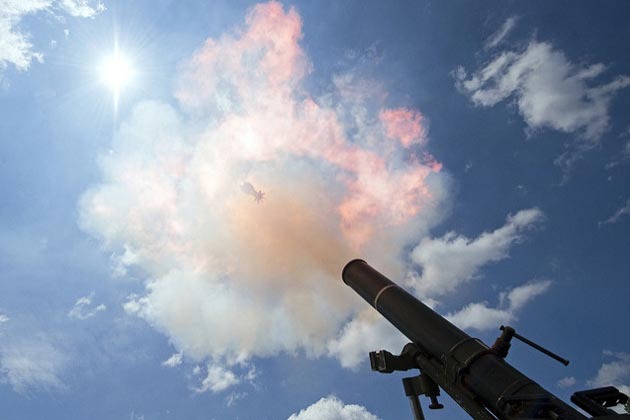 This new mortar round will give the user a much higher chance of defeating the targets, something that normally would have required heavier supportâ€�, says Christopher Leitner, Head of Marketing & Sales at Saab Bofors Dynamics Switzerland. SBDS is an industry leader in the design, development and production of mortar rounds, warheads, less-lethal applications and other energetic products. The company is a specialist in total munitions life cycle management and provides servicing of different ammunition types, mainly for large-calibre products. SBDS operates as a subsidiary of Saab, within business area Dynamics, and is based in Thun, Switzerland, where it maintains a state-of-the-art development and production site with advanced test and simulation facilities. During the NATO Days in Czech Republic, Tatra Defence Vehicle has presented a self-propelled mortar vehicle, a new variant in the Pandur II CZ 8x8 armoured vehicle family. Tatra has developed this vehicle to response to a new request of the Czech army for a fire support vehicle. In 2006, General Dynamics announced that the Czech Republic has selected its European Land Combat Systems subsidiary Steyr-Daimler-Puch Spezialfahrzeug GmbH of Austria to supply its army with 199 new eight-wheeled Pandur II armored personnel carriers (APCs) between 2007-2012. The Czech army is equipped with six versions of the Pandur II CZ including, APC , command post, reconnaissance (in two modifications - with and without a radar), engineer and medical vehicles. The Pandur II CZ in mortar configuration is fitted with a Soltam Cardom 120 mm caliber mounted at the rear of the vehicle. The Cardom is an autonomous, computerized 120mm recoil mortar system for mounting on light and medium armoured tracked carriers and wheeled armoured vehicles. The 120mm Soltam Cardom mortar system has a traverse of 360Â°, it can fire from inside or from outside of the vehicle. In the vehicle, it fires through tow roof hatches, that open on each side of the vehicle. It has a maximum firing range of 6,800 meters with a rate of intense fire is 16 rounds per minute, however rate of sustained fire. A first round can be fired within 30 seconds from travelling. A total of 50 rounds of ammunition are stored inside the vehicle. The Pandur II CZ 120mm mortar could be fitted with a battlefield information management system, which links up with other similarly equipped vehicles and command posts. A digital fire control system can be integrated with navigation, self-positioning and aiming systems. The fire control system can operate in automatic laying mode, once it receives target data from an observation position. 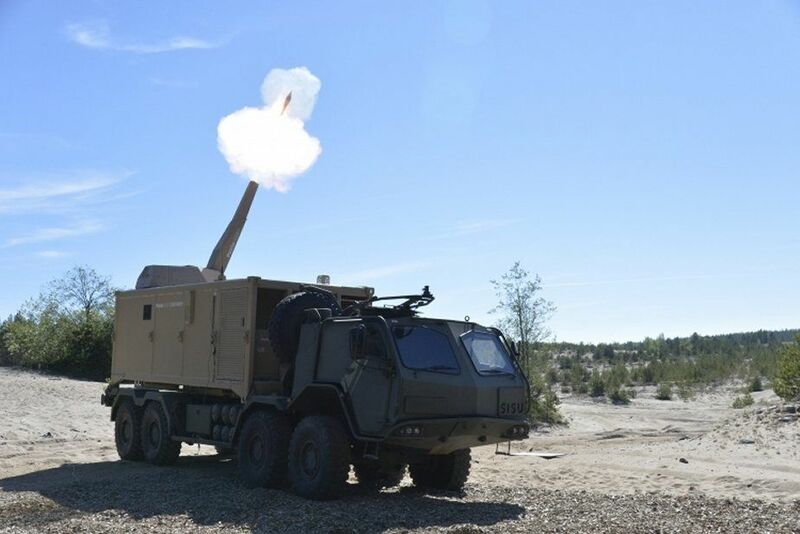 BAE Systems Hagglunds is set to conduct manned firing trials of a prototype/demonstrator of the 120 mm Mjolner twin mortar system that it is developing for integration into CV90 infantry fighting vehicle (IFV) in Swedish Army service. The SEK575 million (USD68 million) fixed price contract was awarded to BAE Systems Hagglunds by the Swedish Defence Material Command (FMV) in December 2016 to provide army mechanised battalions with a highly mobile and survivable indirect fire capability. The vehicles will be designated GRKPBV90. 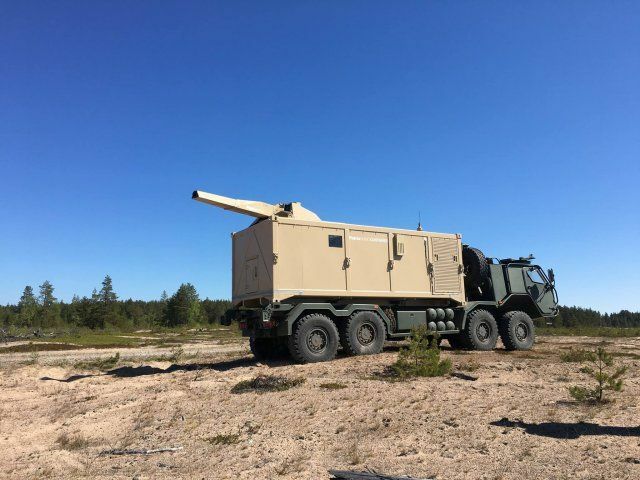 Under the terms of the contract, the company will supply the first production standard Mjolner 120 mm twin mortar system in 2019, with a total of 40 delivered by 2020. These will be integrated into CV90 platforms originally built for the 120 mm AMOS (Advanced MOrtar System), which had been jointly developed by BAE Systems Hagglunds and Patria to meet the requirements of Finland and Sweden. The Mjolner comprises two 120 mm smoothbore mortars that are muzzle loaded using a mechanical ammunition handing system. The system is operated by a four-person crew of the driver, commander, and two ammunition loaders. According to BAE Systems Hagglunds, the system takes less than two minutes to come into action and carry out a fire mission and with the first four 120 mm mortar bombs being fired in about eight seconds. It takes less than one minute to come out of action and maximum rate of fire is stated to be up to 16 rounds a minute with a sustained rate of fire of up 10 rounds a minute. The working design documentation on the advanced 2S42 Lotos 120mm self-propelled artillery system will be fully prepared before the end of the month, CEO of Russiaâ€™s Central Research Institute for Precision Machine-Building (TsNIITochMash) Dmitry Semizorov told TASS. "The first stage, during which the working design documentation will be prepared, will be completed in September," Semizorov said. The Lotos is a derivative of the Zauralets project and is expected to replace it. Under the Zauralets project, a new self-propelled artillery system for the Airborne Force was planned to be developed. As Semizorov said earlier, a 120mm weapon will be the Lotos systemâ€™s main armament. Its artillery round will be heavily upgraded. It will be almost on a par with a 152mm round by its power. According to TsNIITochMashâ€™s CEO, the military ordered to launch the serial production of the promising self-propelled system in 2020. 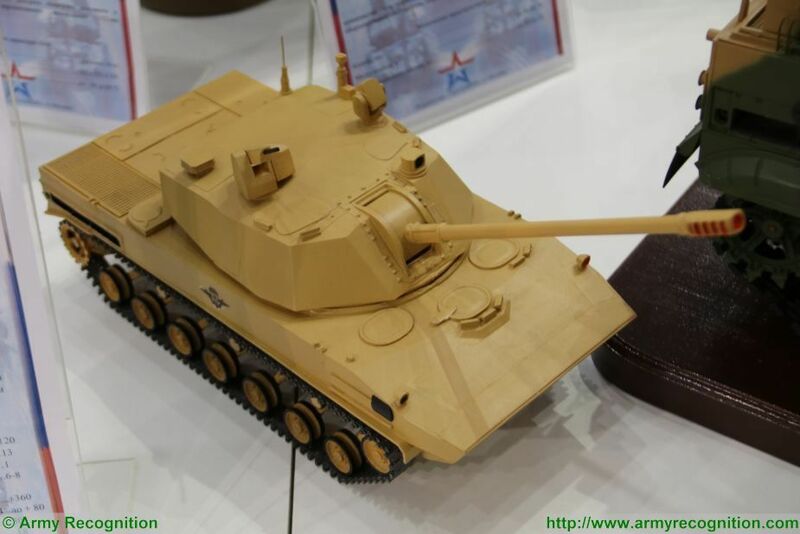 A scale model of the 2S42 Lotos was presented for the first time on the booth of the Russian Ministry of Defense at Army-2017, the International Military Technical Forum which was held near Moscow in August 2017. At the 2017 Arms and Security Exhibition in Kiev, Serhii Prolubschykov, the Deputy Chief of the Commercial Department at Ukroboronservice, provided details of a new mobile mortar system geared towards special forces and airborne troops. 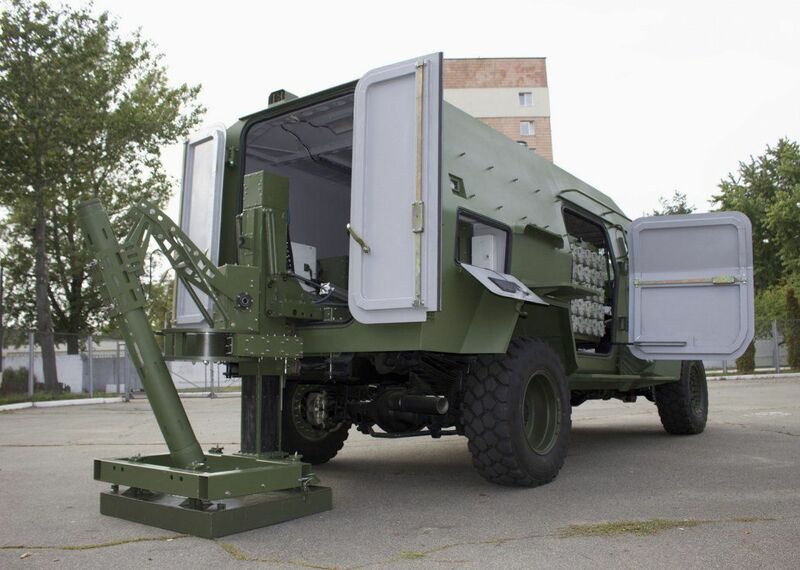 Currently in trials with the Ukrainian Army, the Mobile Mortar Complex (MMC) is designed around a battery of six mortar vehicles, a single command-and-control platform, and a supporting logistics vehicle. The system is air-transportable and based on the Kia KM-450 chassis. It can use both 81 mm and 120 mm mortars and has a maximum range of 7.2 km. A battery is designed to â€˜shoot and scootâ€™, which for the Ukrainian forces means the ability to fire within 35 seconds of travelling and move from combat to travel within 25 seconds. This means that the MMC can redeploy after firing eight rounds before the majority of ordnance has hit the target area, thereby complicating the task of counter-battery fire. The development arose from the requirements of modern warfare, which Ukroboronservice interprets to mean â€œprecision firepower, rapid information management, and rapid relocationâ€�. The project is the result of two yearsâ€™ work, with the technology developed in co-ordination with the Spanish company Everis. Manned firing trials of the prototype/demonstrator of BAE Systems Hagglundsâ€™ CV90 twin 120 mm Mjolner mortar system are now underway and it is expected that the Critical Design Review (CDR) will take place by the end of 2017, which will lead to the design freeze and allow production to commence. 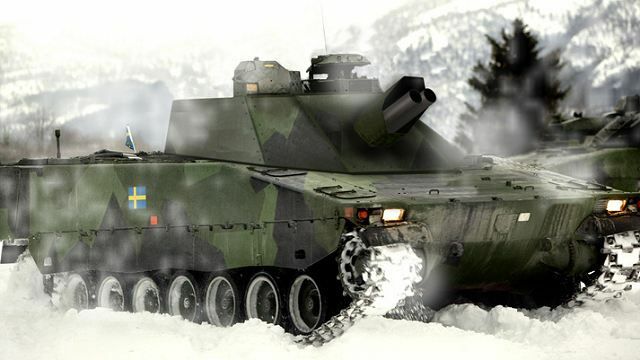 When completed, the Mjolner system will enter Swedish Army service as the GRKPBV90. Major Nils Carlsson, Future Organisation Mortar Development Officer of the Swedish Army provided additional details of the Mjolner programme at the Defence IQ Future Mortar conference held in London, UK. Production of the twin 120 mm Mjolner turret systems will start in 2018 with deliveries to run from late 2018 or early 2019 through to 2020. This work will be undertaken at the BAE Systems Hagglunds facility where the CV90 series platforms are being overhauled. The turret will be built by BAE Systems Hagglunds with the twin 120 mm smooth bore barrels sourced from Slovakia. Each of the five CV9040 mechanised battalions of the Swedish Army will be issued with eight CV90 twin 120 mm Mjolner mortar systems. Each system will be supported by a Bv 206 tracked articulated all terrain load carrier that will carry additional 120 mm mortar ammunition. The CV90 120 mm Mjolner system will fire the currently deployed 120 mm high-explosive (HE), smoke and illuminating projectiles, although in the longer term a more effective HE round with improved fragmentation effects could be procured. It can also fire the Strix 120 mm top attack mortar bomb that was developed by the now Saab Dynamics and also sold to Switzerland. This has a maximum range of 7,500 m and is fitted with a nose-mounted infrared seeker and a high-explosive anti-tank (HEAT) warhead that is designed to penetrate the vulnerable upper surfaces of main battle tanks (MBT) and other armoured fighting vehicles. The Griffon is officially called the VÃ©hicule BlindÃ© Multi Role (VBMR) and is being developed by a consortium comprising Nexter Systems, Renault Trucks Defense, and Thales Communications & Security. The 120 mm 2R2M RRM mortar variant is called the Mortier EmbarquÃ© Pour lâ€™Appui au Contact (MEPAC). The vehicleâ€™s projected in-service date is not presently known. This ammunition is the same as that used in the currently deployed TDA Armements SAS 120 mm MO-120-RT towed mortar system. Maximum range depends on projectile type and charge, but it is 8,135 m using a standard HE mortar bomb. The 2R2M RRM mortar is installed on a turntable mount with powered traverse and elevation, and is fitted with a load assist device. The weapon was originally developed by the company as a private venture and has already been tested in France integrated into a 6Ã—6 version of Renault Trucks Defense VÃ©hicule de lâ€™Avant BlindÃ© (VAB) as well as a General Dynamics European Land Systems 8Ã—8 MOWAG Piranha. It is known to have been adopted by Italy on its 8Ã—8 Freccia and tracked Dardo infantry fighting vehicles, Malaysiaâ€™s FNSS ACV-19 (with the AV8 platform following soon), Omanâ€™s upgraded 6Ã—6 VAB, and Saudi Arabiaâ€™s upgraded M113 series APCs. In a push to build its modernization budget and invest in new technologies, the Marine Corps has hauled at least one program of record to the curb -- and is looking for more to cut. The Corps has already divested of the 120mm Expeditionary Fire Support System to make way for other capabilities, Lt. Gen. Robert Walsh, commanding general of Marine Corps Combat Development Command, told Military.com in an interview. The EFSS, fielded in the early 2000s, was designed to be extremely portable, small enough to be towed by an all-terrain vehicle that fits easily inside an MV-22 Osprey. Made by General Dynamics, the full system weighs roughly 18 pounds and can fire high-explosive, smoke and illumination rounds. The system was fired in combat for the first time in 2011. The news that the Marine Corps is cutting ties with the program is something of a surprise, considering the service was in the process of acquiring a new round: the Raytheon-made GPS-guided precision extended range munition, or PERM, expected to increase the accuracy of the system and extend its range from roughly five miles to 10. 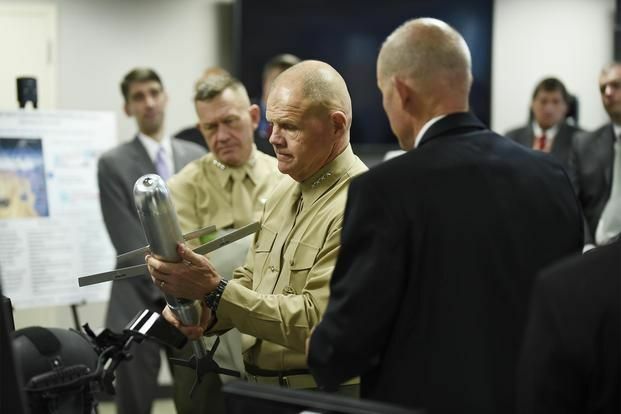 In 2015, Raytheon inked a $98 million contract with the Corps for the delivery of PERM; the round was to have been fielded to Marine units next year. But Walsh said the Marine Corps is working to extend the range of its artillery arsenal, particularly its M777 howitzer. With its limited range, the EFSS may not be well suited to what Marine leaders perceive as the Corps' future mission. "We made that decision to divest of it, and we're going to move that money into some other area, probably into the precision fires area," Walsh said. "So programs that we see as not as viable, this [program objective memorandum] development that we're doing right now is to really look at those areas critically and see what can we divest of to free money up to modernize." Walsh said the Marine Corps wants to see a boost of about 5 percent in its modernization budget. The just-passed Fiscal 2018 National Defense Authorization Act included a modest bump in procurement, with much of the additional money earmarked for investment in ground vehicles. As the Corps plans for 2020 and beyond, Walsh said the service is looking inside the organization to find savings and "investment trade-offs" in order to get the money it needs. While Walsh said he could not yet identify other Marine Corps programs that had been marked for divestiture, he noted that operations and maintenance funding may also be examined in order to move more money into modernization. "The commandant has told us ... I wouldn't say that he has modernization over readiness -- readiness is important -- but he's told us to look real hard at our ops and maintenance accounts that aren't tied specifically to unit readiness," he said. "We can look ... to determine across the [Marine Air-Ground Task Force] where we can find money and move it into the modernization area to get that slope up higher within the Marine Corps," Walsh said. A Ukraine Mobile Mortar Complex (MMC) system is undergoing acceptance trials in Ukraine, Janeâ€™s understands. The MMC consists of an Alakran Light Mortar System (LMS) integrated into the rear of a Bars-8 (4x4) armoured vehicle. The Alakran has been developed by the Aerospace and Defense Division of Spainâ€™s Everis and its compatriot New Technologies Global Systems (NTGS); the integration for the MMC has been conducted under contract from Ukroboronservice. For the MMC application a Ukraine-supplied smoothbore 120 mm calibre tube is utilised and deployed through the two rear doors of the Bars-8. The tube is fitted with a muzzle-mounted device that prevents double loading. The Czech Republic is seeking a new 120 mm mortar system, an official of the Army of the Czech Republic (ACR) has confirmed during the Omega Conferences and Events Mortar Systems conference held in Bristol, United Kingdom. Lieutenant Colonel Martin Sufajzi of the Army of the Czech Republic (ACR)â€™s Land Forces Armament Department, Armaments and Acquisition Division, noted that the tender process is expected to commence in May 2021 with a potential contract signature late in 2021 and deliveries to run from 2023 through to 2025. Potential contenders for the ACRâ€™s 120 mm requirement include the Finnish Patria 120 mm NEMO turreted mortar which is currently deployed by the Saudi Arabian National Guard (SANG) integrated onto a General Dynamics Land Systems 8x8 LAV-II and by the United Arab Emirates on a naval platform. 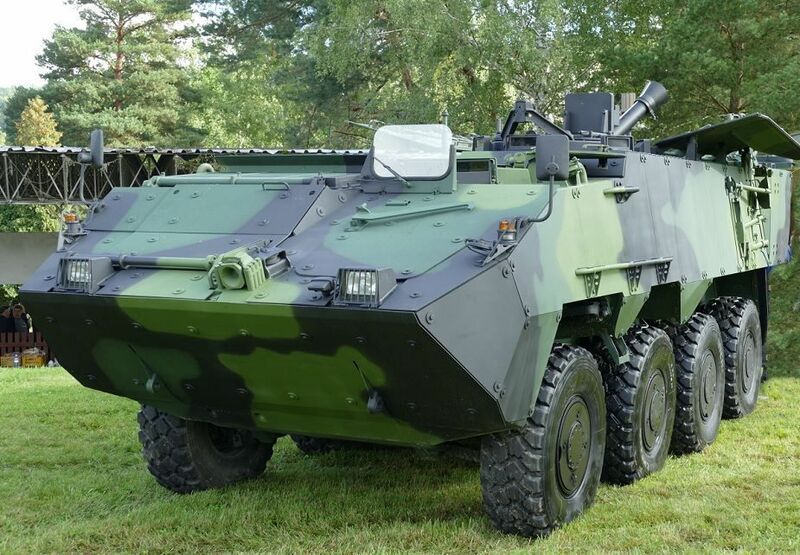 Other contenders are the Finnish/Swedish twin 120 mm AMOS currently deployed by Finland integrated onto a Patria 8x8 Armoured Modular Vehicle (AMV) and the Polish HSW 120 mm M120K Rak turret system integrated onto a Patria AMV, which is known as the Rosomak by the Polish Army. 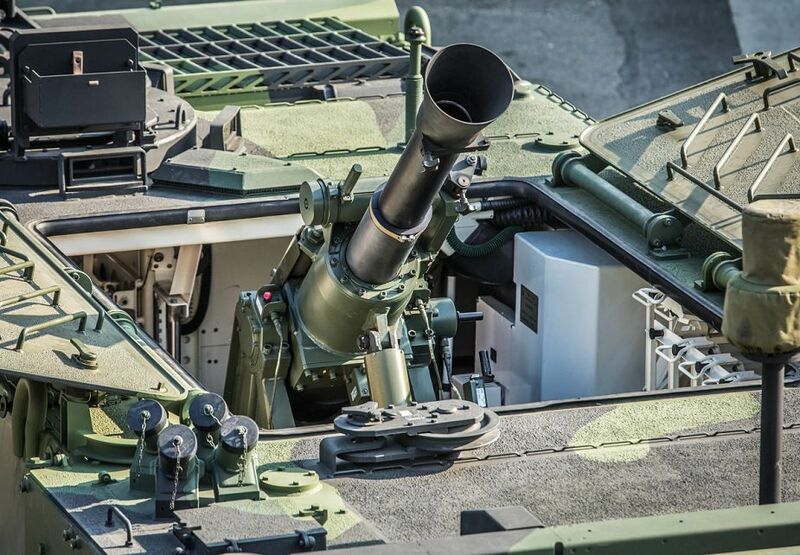 While the preference is for a turret-mounted 120 mm mortar system with a total of 62 units to be procured, other types of 120 mm mortar systems may also be considered, such as the Swiss RUAG Cobra turntable-mounted mortar. The service currently operates two types of 120 mm mortars with the standard dismounted mortar being the Type 82 with a maximum range of 8,036 m and a maximum rate of fire of up 12 rds/min. 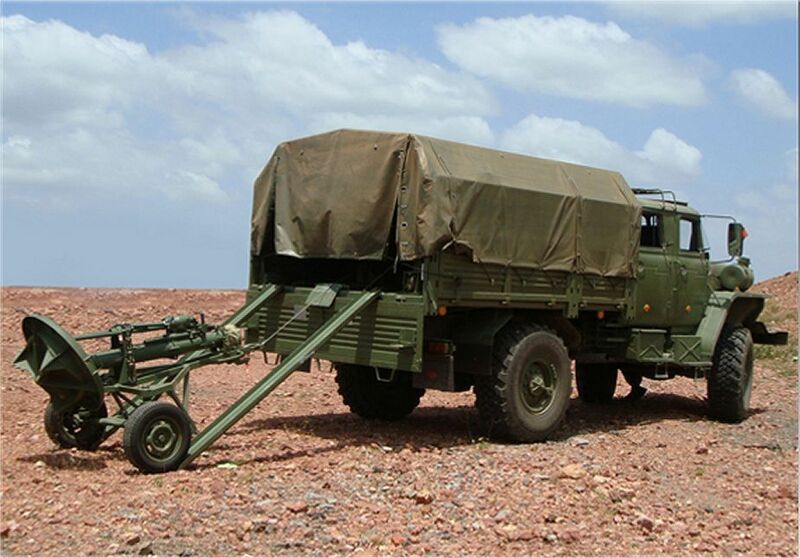 The Type 82 is towed by a 8x8 Tatra 815 truck, although it can also be carried internally and rapidly unloaded using the power-operated tail lift. Russian army Southern Military District motorized infantry large unit based in the Rostov Region in south Russia has received about 20 upgraded Sani 2S12 120mm mortars nicknamed 2S12A, the districtâ€™s military press office said. 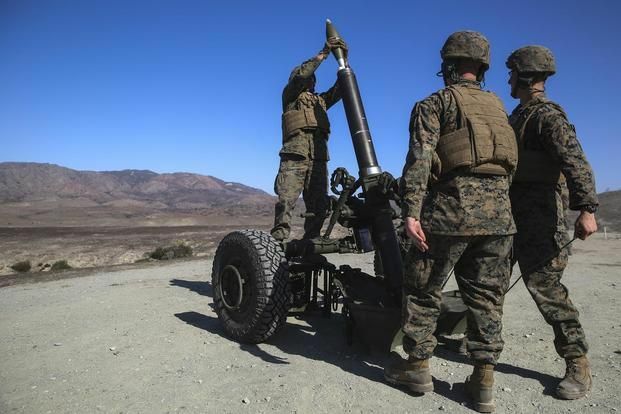 "During the upgrade, the mortar received a new base plate with a joint that allows adjusting fire quickly without turning the plate," the press office said. "The mortar can fire almost all Russian- and foreign-made mortar bombs with the same caliber," the press office added. The 2S12A Sani mortar is carried by a new Motovoz-family Ural off-road vehicle with a higher-power diesel engine and an electric winch. The mortar is designed to eliminate the enemyâ€™s manpower and weapons and destroy fortifications. The 120 mm Sani mortar is designed to engage exposed and covered manpower, weapon systems, and light armoured targets in close tactical area. It is carried by a transport vehicle. According to the specifications of the Sani mortar in the official catalogue of the Rosoboronexport company, the system has a weight of 230 kg in combat position and 360 kg in transport position, a crew of 5 servicemen, a firing range of 480 - 7,100 m, a firing rate up to 10 rounds per minute (in the aimed firing mode) and a combat readiness time of no more than 3 min. The whole 2S12A mortar carrier systems consists of one 120mm 2B11 mortar, a 2L81 wheeled carriage, and single SPTA kit for mortar and a transport vehicle. The modernized version of the 2S12A is carry at the rear of the URAL-43020 4x4 military truck chassis. The mortar demonstrated its effectiveness in the fight against sabotage teams in mountainous terrain during the counter-terrorism operation in the North Caucasus. Sooooo, you're gonna roll the mortar off the back of the truck, down a pair of ramps, presumably on even ground (?) then dismount the mortar off the wheeled under-carriage...............hmmmm real quick eh? At DSA 2018, being held in Kuala Lumpur (Malaysia), the local defence contractor Kembara Suci (KSSB) is showcasing for the first time a mortar carrier system variant based on a 4x4 light armored vehicle. A â€œworld lightest mortar carrier systemâ€� according to KSSB, this vehicle provides 120 mm mortar capabilities to high mobility units. The system has been developed to avoid shot recoil effect into the vehicle. It solved operational problems of current mortar carriers: overload, vehicle reinforcement, large platforms, overheating, limited firing capabilities, etc. Since it doesnâ€™t use any recoil absorber system, the KS system is easy to be operated while keeping the traditional mortar tube effectiveness and efficiency. Likewise, its electromechanical aiming system provides high speed and accuracy in operation. The Alakran software provided by UkrOboronProm incorporates GIS technology and new features such as the Zonal Shooting and Multiple Rounds Simultaneous Impact System that simplifies operations by increasing the mortar effect. Fully airborne-capable, the KS 4x4 Mortar Carrier can be installed in any light military vehicle from 1.5 tonne payload without the need for structural reinforcement. The vehicle can carry up to 40 rounds and shoot up to four rounds per minute in sustained fire in a maximum range of 2,500 m. The whole system can be operational in less than 30 second. Taiwanâ€™s state-owned Materiel Production Center (MPC) and the National Chung-Shan Institute of Science and Technology (NCSIST) has unveiled at the Defence Services Asia 2018 (DSA 2018) exhibition in Kuala Lumpur a model of a new variant of its indigenously developed Cloud Leopard (Yunpao) armoured vehicle fitted with an integrated mortar system. 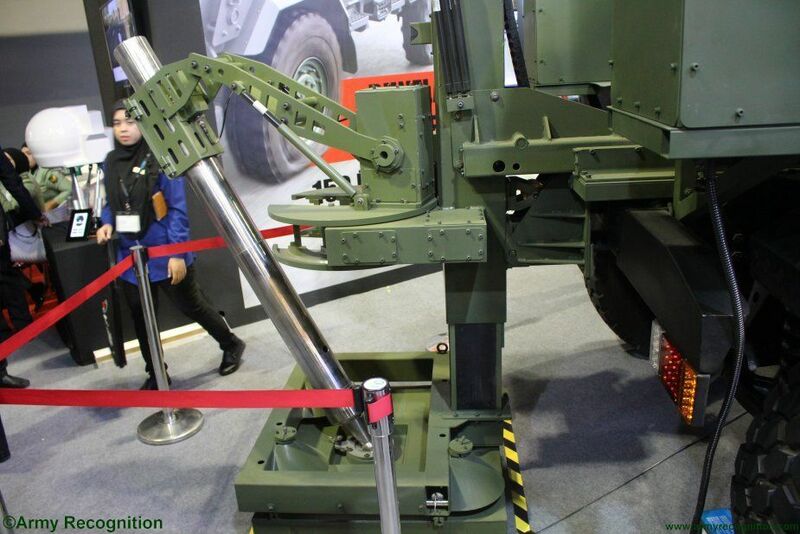 Called the Cloud Leopard Mortar Carrier, the 24-tonne vehicle, which is based on the Cloud Leopard Type 2, is equipped with MPCâ€™s recently developed Advanced 81/120 mm Mobile Mortar Weapon System, a model of which was also displayed at DSA 2018. The weapon is located at the rear section of the vehicle, with a horizontal sliding hatch opening to enable the mortar system to be deployed and fired. The vehicleâ€™s suspension system has been modified to hydro-pneumatic and its steering upgraded to six-wheel (8 Ã— 6) steering from the previously four (8 Ã— 4) to reduce the steering radius to 9 m.
Moreover, the new Cloud Leopard variant, which is equipped with a remote-controlled weapon station (RCWS) that is reloaded from inside the vehicle, has 16 daylight and thermal-imaging cameras mounted around its hull, providing driver and commander with omnidirectional monitoring capabilities. The mortar system mounted inside the vehicle is â€œequipped with an electro-servo control system and advanced firing-control modules and fitted with a mechanism that reduces the recoil by up to 70%â€�, a company official told Janeâ€™s . The system, which weighs less than 1,000 kg, can fire all types of 81 mm or 120 mm mortar rounds and be dismounted to operate independently of the vehicle. 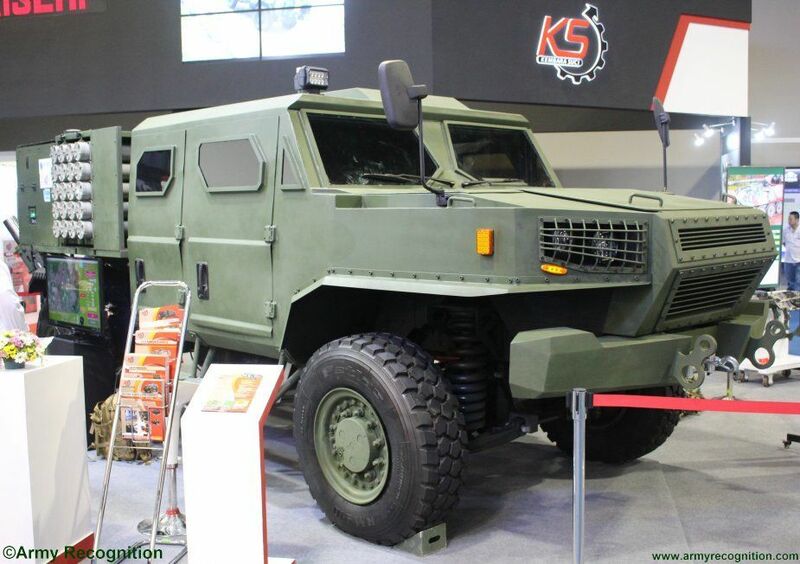 Malaysian defence company Kembara Suci unveiled a mortar carrier based on a recently developed 4Ã—4 high-mobility tactical vehicle at the Defence Services Asia 2018 (DSA 2018) exhibition in Kuala Lumpur on 16â€“19 April. Named Buraq, the 9-tonne platform is equipped with the Alakran light mortar system developed by New Technologies Global Systems (NTGS), which is part of Spainâ€™s Everis Aerospace and Defence. Designed to fire both 81 mm and 120 mm mortar ammunition, the Alakran, which has a maximum range of 8.2 km using 120 mm high-explosive ammunition, is not deployed from inside the vehicle but automatically lowered to the ground for firing, thus avoiding the need for a recoil absorber system. â€œThe 1.1-tonne Alakran, which can be also installed on light combat vehicles, incorporates geographic information system technology combined with a firing-control and ballistic computer,â€� an Everis official told Janeâ€™s .